Microsoft SharePoint 2013 - What Microsoft Gave Us in This Version? 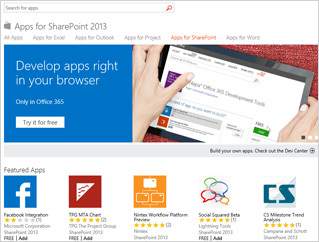 Microsoft SharePoint 2013 – What Microsoft Gave Us in This Version? 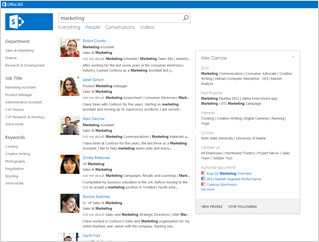 Last year (2013) saw the release of Microsoft’s new version of SharePoint, SharePoint 2013. Though many have realized the advantages of migrating to SharePoint 2013 from the previous versions like SharePoint 2010 or earlier SharePoint versions, there are still many people who are vary and unsure about the new features that Microsoft has to offer. In addition to which there are those who need that little push or nudge to select Microsoft SharePoint 2013 as their solution provider for their upcoming or existing project or requirement. The fact of the matter is the that the new version of SharePoint has introduced many new features which help to share your work and even organize your projects and teams and even discover people and information. It is now possible to share ideas better than before. It makes it easier to keep track of what your colleagues are working on. In addition to which you have the ability to publish into SharePoint from just about any Microsoft Office application. You also have the ability to share content with people inside your organization and depending on the security level of the network even with people outside your organization. 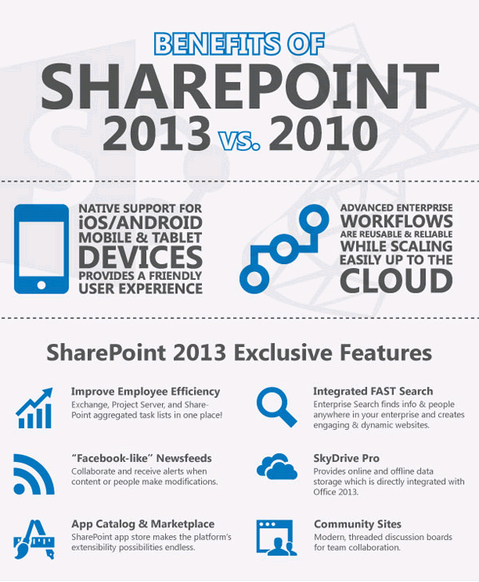 Many of the SharePoint services have also gone mobile thus give you that much desired mobility. The mobile experience is now more optimized which includes lightweight, contemporary view browsing experience for users to navigate and access document libraries, lists, web parts, etc. 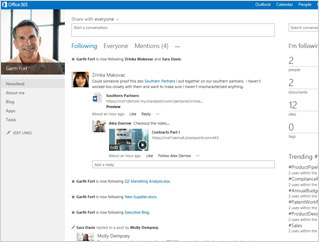 It is possible to render a single published SharePoint site in many different designs to cater to different devices. SharePoint has the ability to provide push notifications and even utilize the Geo-location of the mobile device. By keeping your projects organized it is possible to keep track of the upcoming deliverable across SharePoint, Outlook and even Microsoft Project. Now setting up a new team site to track meeting notes and bring all the team member’s together via email and sharing documents is now just a click away. 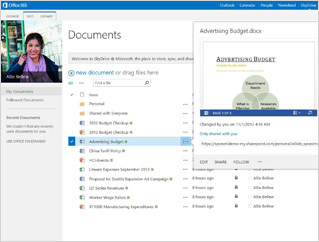 With SkyDrive Pro now being integrated into SharePoint it is possible to sync the documents to the desktop for viewing even when you are offline. It is also possible to categorize discussions around subject areas with the introduction of Community sites which offer forum experience. ‘My Sites’ now offers are more intuitive work flow for users to develop their personal profiles, keep up to date with activities of interest through the use of new micro blog, store content and feeds experience. With SharePoint you can open a whole new world that you never thought existed. It is not possible to discover and contact with people across your organization and dig into their detailed profile prior to doing so. Hence you now have the information like past projects and even interests of the person right on hand when you need them. SharePoint provides you with powerful search options making it easier to find the relevant results fast. This includes query processing and targeting of search results. In addition to making the apps you’re create become available to the company employees via the corporate catalog it is also possible to make it available to everyone else via the public Store. Thus it is possible to create very creative and innovative sites for all to see and use with greater business connectivity. The SharePoint cloud feature greatly reduces the cost of infrastructure and extends your boundaries of sharing. With the new e Discovery functionality there is an improved method to help protect your business. It is now possible to perform eDiscovery queries across multiple SharePoint farms and Exchange servers, to preserve and export discovered content. 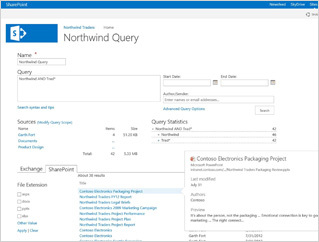 In addition to which preserving content in place from Exchange mailboxes and SharePoint sites while allowing users to continue working with content, and support for search and export from file shares. Thus you can now spend lesser time managing infrastructure with advances in SharePoint scale, performance and management capabilities and more time delivering innovative solutions. To discuss about our services, expertise and how we can help you visit – www.sharepointengine.com or contact us at info@SharePointEngine.com or call on (877) 368-7207. What Microsoft Gave Us in This Version? Why Magento is Best For E-Commerce Platform?